Bimetals are hence layered metallic composites, most common in the form of strips or sheets that consist of at least two tightly bonded components with differing thermal expansion rates. Since, when heated, one layer expands more than the other the flat strip is forced to bend one way, and towards the opposite direction when cooled back below its initial temperature. The larger the difference in thermal expansion, the larger is the resulting mechanical displacement. The bimetallic property has been used in a range of mechanical and electrical devices, extensively for example for the actuation of on/off switches within early thermostats. 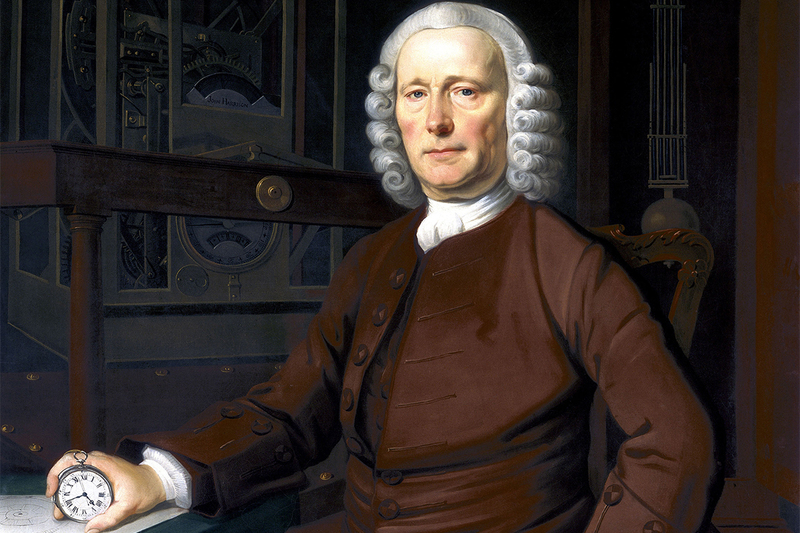 The oldest surviving bimetallic strip was created by the clockmaker John Harrison during the mid 18th century. Harrison, who is hence credited as the inventor of bimetals, made it for one of his marine chronometers to compensate for temperature-induced variations in the balance spring. His earliest experiments consisted of two distinct metal strips joined by rivets but later he also invented the method of directly fusing molten brass onto a steel substrate. Different types of metals expand to different extents when experiencing a rise in temperature and vice versa. When two metal strips with varying thermal expansion rates are bonded together, the upper strip is partly prevented from expanding by the lower strip when heated. The resulting force causes the linked strips to bend. Due to this quality a bimetal is also called a thermostatic bimetal or thermobimetal, since its performance is directly tied to the effect of heat. When no external forces are applied the bimetal will take the shape of an arc. A small piece of bimetal curling upwards when exposed to continuous heat. The components used for the fabrication of bimetals are chosen first for their temperature characteristics and then for strength, workability, stability, heat conductivity, and electrical properties, depending on the particular requirements. Generally bimetals can be produced to react to temperature changes over any given range by choosing the right components, in particular the low expansion component. Most commonly the layers are welded together into a large bar, which is then rolled in different hot and cold-rolling mills into sheets. Further processing happens according to distinct cold rolling programs. In between the different rolling processes, the sheets are heat-treated in annealing furnaces in a controlled environment. The sequence of annealing and rolling affects the properties of the bimetal. During the final production process the cold-rolled strips are marked according to their quality and the edges are slit and deburred. Marking is usually done on the active layer, which is situated on the convex side of the heated thermostatic bimetal object. The final sheets are cut into strips or bands of 0.1 to 3 mm thickness, which may be fabricated into any of a number of forms, mostly however into rings, coils, or straight strips. In some applications bimetallic strips are used in flat form, in others, they are wrapped into coils for compactness. The greater length of the coiled version provides improved sensitivity. Strips and disks, converting a temperature change into mechanical displacement, are the most used bimetallic objects. Therefore bimetals are mainly applied in cases for transformation of a temperature change into movement and/or force. Electrical energy can also be used to trigger the effect in applications where the thermostatic bimetal is heated electrically. Vice versa movement and force can be transformed into electrical energy, e.g. in a liquid level gauge. The uses of bimetal fall into four main categories, including temperature indication, temperature control, time limiting and control, and safety functions. Temperature indication is most common in spiral coil actuated pointer thermometers. In this application the bimetal’s sole load requirement is the production of enough torque to move the pointer. Temperature control can be exemplified in the case of the mechanical thermostat, a device consisting of a bimetal blade upon which a current carrying contact point is mounted, aligned with a mating stationary contact (see diagram on the right). The bimetal blade then moves the pair of contacts into either open or closed circuit and thus stops or starts the supply of heat to the room. In architecture bimetals have rather recently been (re)discovered for their ability to autonomously move in response to a change in temperature. Doris Kim Sung, assistant professor at the University of Southern California, builds upon this behavior in her responsive installations such as “Bloom”, realized in 2012 at the Materials & Applications gallery in Los Angeles. 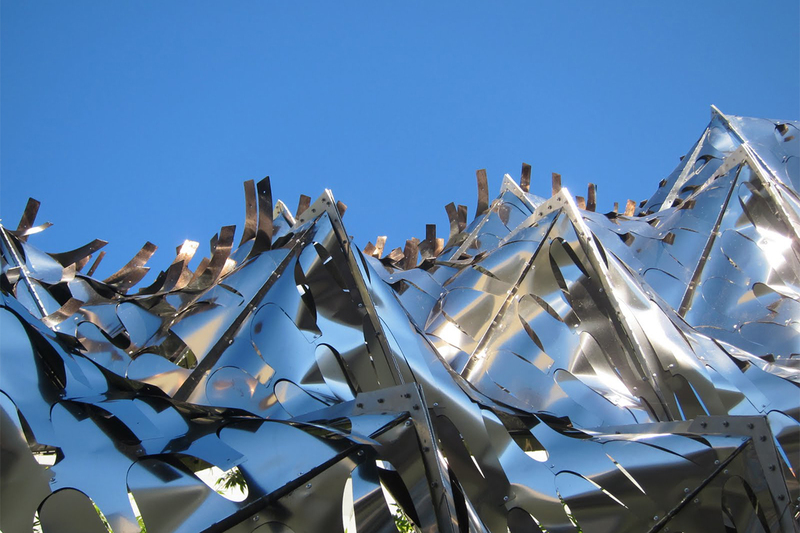 The faceted building skin consists of 14,000 smart thermobimetal tiles, each one different from the other, which curl up when the outdoor ambient temperature rises above 70F or when the sun penetrates the surface, causing the entire installation to change shape. Sung believes that future facades based on this principle could respond to the path of the sun and the particular climate of the site, making the requirement of blinds or shades obsolete. Moreover a thermobimetal building skin would still be able to operate, even in cases when there is no electrical power. Obviously bimetals have many limitations as to the temperatures they can stand and the loads they can carry. However, as engineering materials, especially for the creation of responsive facades, be it in order to reduce a building’s energy intake or simply due to their aesthetic effect, they have immense potential and are worthwhile investigating further. Rau, G. Thermobimetalle: Grundlagen, Berechnung, Gestaltung, Auswahl; Pforzheim: G. Rau GmbH & Co., 1989.